Polenta is made by grinding corn in a size between coarse meal and flour. The word polenta is from Italy, where it is often serves as side dish for stews or ragouts. It is also very suitable for soups, oven dishes, dumplings or desserts. Corn (maize) is part of the sweet grass family and originates from South America, where it is still one of the basic foodstuffs. After the discovery of America, corn rapidly spread all over the world. Today, corn is one of the most important grain types worldwide, the plant reaches a height of up to 2.50 m. Polenta is rich in carbon hydrates, unsaturated fatty acids such as linolenic acid, and mineral nutrients such as potassium, calcium, phosphorus, iron and sodium And we also find many vitamins, especially vitamins A, C, E and the B-group. 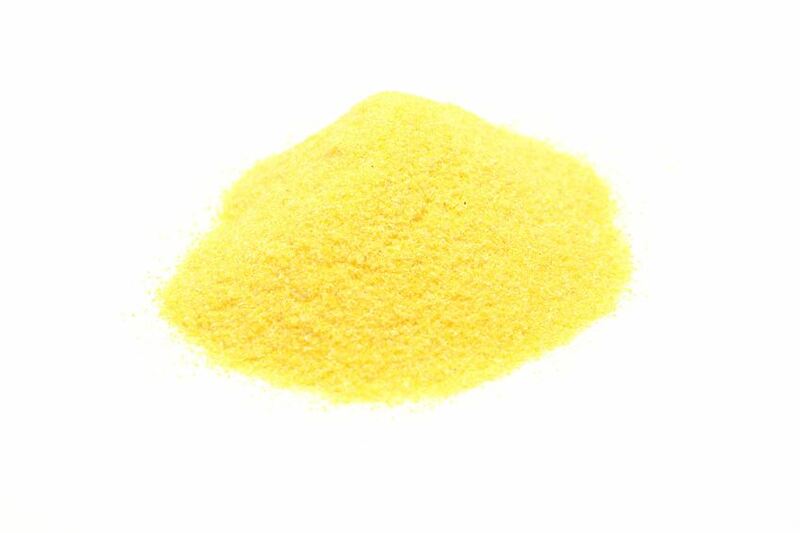 As polenta is naturally gluten-free, people suffering from celiac disease can eat it without worry.